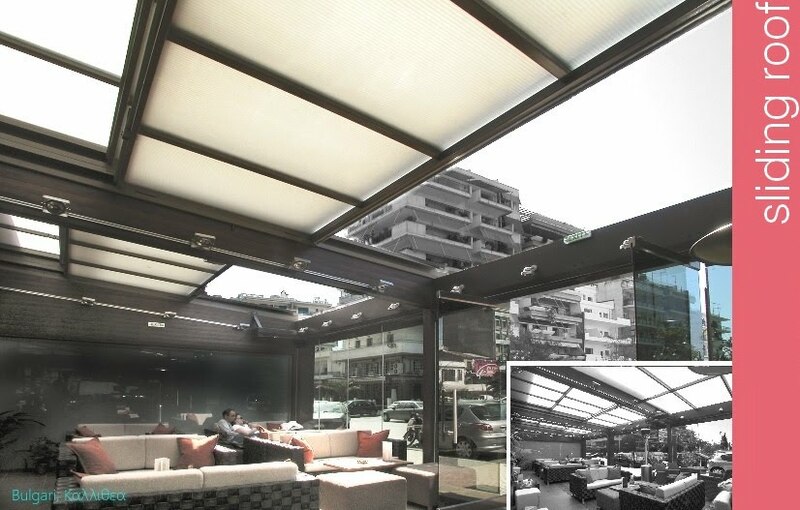 DALCON sliding roof system is designed and produced by our company. All prefabricated components that use powder coated aluminium profiles are shipped worldwide and are ready to be installed. Remote controlled sliding roofs are available in every dimension and architectural shape. These can be covered with translucent polycarbonate or laminated glass with the benefit of daylight or natural ventilation.